Featuring surf bands—and a bonus track by Bamboo Saxotica—playing exotica, spy, lounge and tiki music. Purchase your copy of Music for Moai II online right now. Single CDs are $10 plus $3 shipping. Purchase a 5-pack and shipping is free! 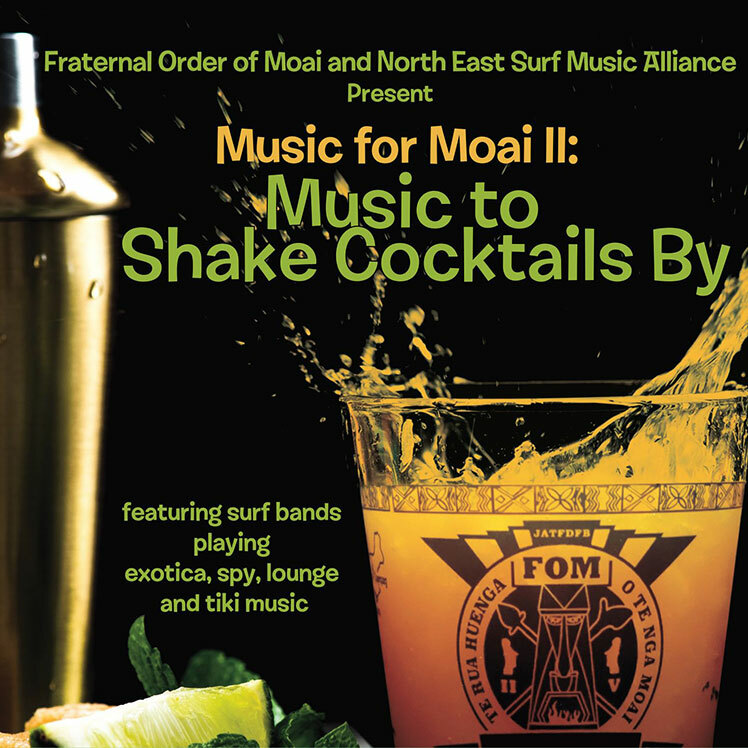 All proceeds will benefit the Fraternal Order of Moai Foundation Hurricane Relief Fund which is used to support communities in the United States and abroad affected by natural disasters, especially places that have influenced tiki and Polynesian pop. NESMA bands donated the use of these original tracks in support of this project.